Humans have long been captivated by the awesome power of volcanoes. UO volcanologist Joe Dufek’s interest goes much deeper. A senior faculty hire in the UO’s Department of Earth Sciences who arrives on campus this month from Georgia Institute of Technology, Dufek is a high-profile addition to the Volcanology Cluster of Excellence. That initiative launched in July 2016 when Gwendolyn and Charles Lillis made a major gift to endow faculty positions for two expert researchers. The cluster, which includes director Paul Wallace and a number of other faculty members in earth sciences, will leverage the UO’s prominence in volcanology to increase research activity and elevate its reputation as a national leader in the field. Wallace, a professor and head of the Department of Earth Sciences, described Dufek as a world leader in developing computational models of volcanoes. By gaining a better understanding of volcanoes inside and out, researchers in the cluster will focus on new technologies to monitor volcanoes to help protect people and infrastructure worldwide. Their research could benefit the estimated 600 million people who are at direct risk from volcanoes and provide valuable knowledge to others who are indirectly affected, such as the commercial airline industry. Dufek relies on big numerical simulations that will require the full power of UO’s new Research Advanced Computing Services. The high-performance computing center recently expanded the capacity of its supercomputer, Talapas, partly to accommodate Dufek’s research. To help get Dufek’s research off the ground at the UO, the center performed a high-speed transfer of his research data from Georgia Tech. The computing center will also help Dufek’s wife, Carol Paty, establish her data-intensive research program at the UO. Although Paty is not directly tied to the volcanology cluster, she will be contributing to the UO’s expertise in earth sciences and pioneering some new areas of research. A faculty member in the Clark Honors College and the Department of Earth Sciences, Paty specializes in space physics and planetary physics and conducts research funded by NASA. Much of Dufek’s research is funded by federal grants from the National Science Foundation and NASA, but additional funding from the Lillis’ gift to the Volcanology Cluster will allow him and others greater latitude to explore. Dufek is in the process of building three labs on campus. Two labs will be located in UO’s Volcanology Building — one devoted to characterizing large geophysical flows and includes a flume and one devoted to sensors and other electronics. A lab in Cascade Hall will be outfitted with experiments that explore the role of compressible and turbulent fluid dynamics in natural flows. Dufek also does fieldwork examining the deposits from past eruptions in Chile, Ecuador, Greece and the Pacific Northwest. Increasingly, he says, volcanologists are relying on sensors placed around active eruptions. In the next five years, the UO will build up a detailed sensor network that will record valuable information about explosive eruptions for researchers. 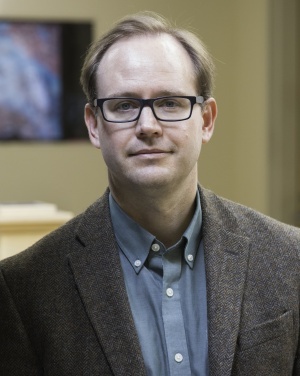 Dufek will begin teaching at the UO in spring 2019. He will teach courses in fluid dynamics, physical volcanology and natural hazards. Looking ahead to the future, he says it’s an exciting time for volcanology at the UO. 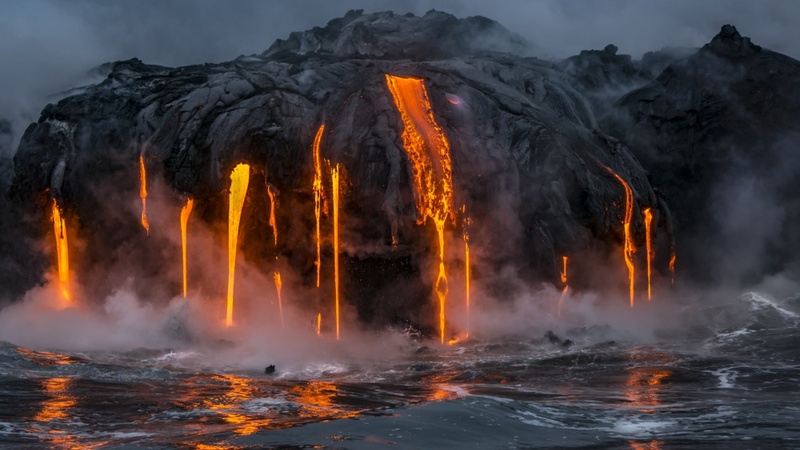 There is a high level of interest in the field and new areas of discovery are emerging, such as research examining volcanoes on other planets throughout the solar system. Turning back to the question of what makes volcanoes so fascinating, Dufek says there’s the obvious draw of their power and potential for hazard and danger. Not only are volcanoes dramatic, he says, but they tell a story that unfolds at a pace we can easily appreciate.